Technology has become a major player for businesses across the country, but the carwash industry is not usually one of the first businesses people think of. If your carwash is struggling to find repeat customers and relying on outdated technology to find a loyal customer base, you may not be using the right resources. To me, loyalty is the core of a successful local business. It’s who I am. I love community. I love the neighborhoods. It’s the locally owned pizza place that supported the local baseball team, and it’s the carwash you go to. Community is the cornerstone of a lot of people’s lives. It’s how I was raised. My passion for generating a sense of community through direct-mail marketing solutions to reach new movers in the Fort Lauderdale, Florida, area has resulted in positive experiences for new consumers who look to support and invest in local businesses. When direct mail is targeted at the right segment of people at the right time, it works out better than other forms of media. Think about it. When you are accustomed to the neighborhood and your surroundings, it is hard to get out of the habit of staying there. Reaching these new movers, whether it be families or individuals, provides a chance to gain a long-term customer, which is a can’t-miss moment. A carwash is a community asset, just like the pizza place, the salon and the dry cleaners. People truly want to be part of the community, and when made aware of local businesses through direct-mail marketing, it makes it easier for them to feel like valued members of their surrounding area. I partnered with Majestic Carwash my first day on the job almost six years ago. Ryan Cain took over Majestic Carwash in 2008 to be closer to family after working for a restaurant group in New York. At the time, the full service carwash and detailing business was having difficulty finding loyal customers and relied on obsolete technology to grow the customer base. In working with Majestic Carwash, we utilized a point-of-sale welcoming program that hones in on newcomers by zip code with a call to action to invest in local businesses. In addition, we created gift certificates and distributed thank you cards to consumers on behalf of local businesses. New movers build new customers, and we realize that little things such as a thank you card can make a big difference. I knew just a couple of minutes into the conversation with Cain that a direct-mail marketing technology could solve his business’ needs. During our meeting, people were walking by and saying hello to employees at the carwash. You could tell that it was a community place. My thought was that if someone new lived in the neighborhood, that person would go to this carwash and receive quality service. Cain agreed, and we have seen success ever since. By focusing on targeting newcomers in the community with direct-mail marketing, Majestic Carwash has generated more than 1,000 new customers every year, totaling 6,000 new customers. Fort Lauderdale is a growing market, and there is an unparalleled opportunity for Majestic Carwash to reach even more new customers. According to a recent article from Forbes.com, from 1990 to 2010, the annual difference in price per square footage between Miami and Fort Lauderdale was roughly 25 percent. In May 2016, this difference jumped to 261 percent due to the slew of new inventory. This means that a buyer can get the same ocean views, amenities, finishes and services in Fort Lauderdale at almost half the price. As the role of technology continues to increase in the carwash industry, it is important to note how savvy the carwash industry has become. After attending The Car Wash Show™ 2018 in Las Vegas, I was extremely inspired by the technology in tunnel optimization experience, the ways to increase revenue by tracking the customer all the way through the pre- and post-purchase process and how technology can make it easier for customers to interact with brands. I was so astonished that I had a hard time falling asleep that night. I genuinely appreciate working day-to-day with the different local businesses in my territory. At the end of the day, local businesses are rooted in and reflective of the communities they serve. 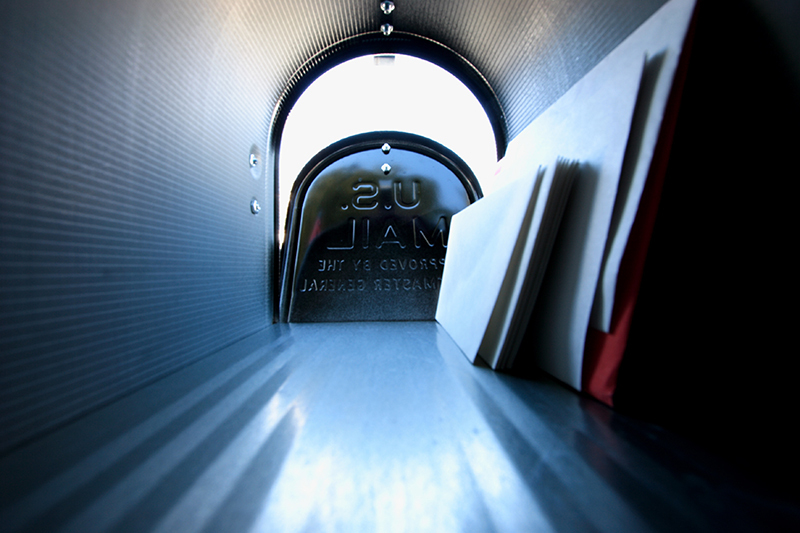 Direct-mail marketing is a great way to extend and solidify that communal relationship. David Tabb has been with Welcomemat Services, serving the Fort Lauderdale community, since July 2012. Tabb was named Franchisee of the Year the past two years at the brand’s national conference. Welcomemat Services was named to Entrepreneur’s 2015, 2016, 2017 and 2018 “Franchise 500,” and since 2003, the brand’s technological innovation and marketing sophistication has enabled it to change the face of the direct-mail marketing industry. The brand offers local, regional and national businesses and organizations unprecedented access to information about their new mover clients. For more information on Welcomemat Services, visit www.welcommatservices.com.